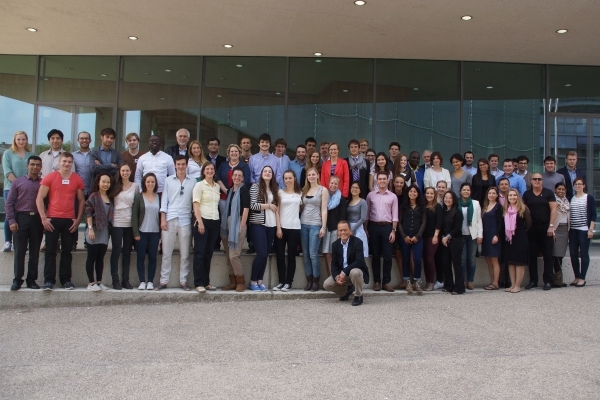 On Sunday, the Cologne Academies started with an Opening Reception on the campus of the University of Cologne. It was a good opportunity to meet the participants and to get to know some of the lecturers. The first day of the Mediation Academy was all about the negotiation process. Professor Ian Macduff started with a brief introduction and presented his personal view of techniques and methods. To get the real feeling about negotiation he prepared a lot of exercises to experience the struggles, which one will most likely encounter in a negotiation and find out important strategies to solve them. Professor Macduff also gave us some impressions on what kind of negotiations he used to work on so we could get an even deeper – and more realistic – view on the importance of negotiation and its effectiveness to solve conflicts in a way that preferably no party would “lose”. In addition to that, we watched some case videos to see how a conflict might arise, if one of the parties is not willing to find a solution suitable for both. In the evening we had the pleasure of a guided city tour through the most famous parts of Cologne and had a chance to speak to the other participants and workshop leaders at the brewery Malzmühle. The second day of the Academy included an overview of the goals of mediation and the possibilities of how to structure the mediation process. Professor Macduff taught us more about the mediator’s role in the process and the difficulties mediators are facing in their daily work. After discussing the requirements of the opening statement of the mediator, we had the chance to draft statements ourselves and present them to the course. The day was rounded off by a boat trip on the beautiful river Rhine with a grand buffet and the obligatory Kölsch beer. 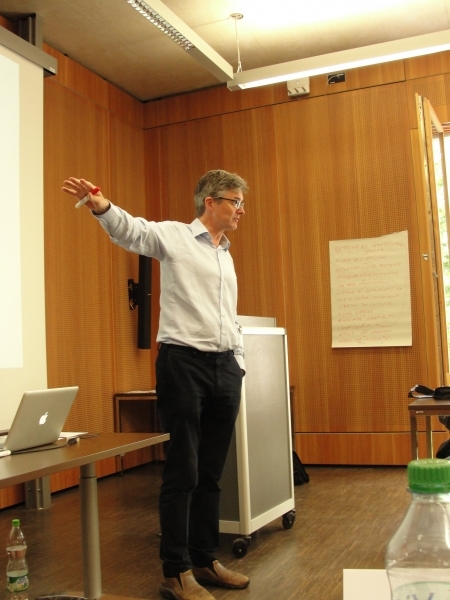 The third day of the mediation academy was conducted by David Owen. To begin with, he asked the participants to take two minutes and jot down what they expected to learn from this third day of the Academy. He noted everyone’s inputs and interestingly, managed to touch on each and every point during the day. David Owen started his presentation with information gathering, a very crucial step in mediation. He explained this step in great detail and used practical exercises, role-plays, stories and examples to emphasize its importance. He went on to cover the function of this ‘exploratory phase’, the role of the mediator, exploration skills, the role of lawyers and the role of the parties. Another very important step covered by David Owen was settlement options and bargaining. This too included the mediator’s role in settlement, the ‘negotiation dance’ and closing a final gap. Once again, David Owen used several tools to make this step understandable for us. From time to time, he addressed the queries raised by the participants in connection with the topic he was discussing. On the fourth and last day of the Academy Professor Berger explained to us how to convert the goals achieved in the mediation into an agreement and which difficulties are likely to occur during this process. At the end of the Academy the mediation group and the arbitration group had a joint session, where the different approaches were compared to each other . Taken as a whole, the Academy allowed excellent insights in the process of negotiation and business mediation. We not only had the opportunity to profit from the experience of well-known experts on mediation and negotiation, but were also able to implement the learning in group works, presentations and discussions.